The SEMAÍNEIN research group is based in the University of Cádiz. Semantic relations and linguistic levels. Language contact and linguistic variation. Linguistics of communication and types of languages. Lexical availability, language contact and linguistic variation. The ESTUDIOS DE PRAGMALINGÜÍSTICA research group is based at the University of Cádiz. Cognitive analysis of texts and speech. Theory of English language teaching. Conversion of traditional linguistic problems to simulated cognitive problems in computational models. The LENGUAJE, COMPUTACIÓN, CONOCIMIENTO research group is based at the University of Cádiz. Syntax, paradigm and orational morphology aimed at learning languages and improving the use of linguistic corpus. Application of logical systems to parsing and knowledge representation in non-monotonous systems. Formal models for scientific knowledge from a historical perspective. Legal-constitutional terminology: comparative Spanish, French, Arabic. The group’s leader is PEDRO PABLO DEVIS MÁRQUEZ. The COMUNICACIÓN Y CIUDADANÍA DIGITAL research group is based at the University of Cádiz. Communication for Development and Social Change. Digital art practices and social thought. The group’s leader is VÍCTOR MANUEL MARI SÁEZ. 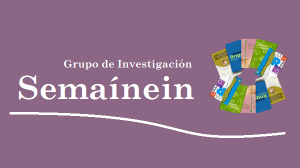 The LITERATURA IMAGEN Y TRADUCCIÓN (Research group HUM-120 of Junta de Andalucía) research group is formed by professors from the University of Cadiz and the University of Seville. It has its administrative headquarters in the University of Cadiz. Comparative literature (French literature – painting). The LENGUAS APLICADAS A LA COMUNICACIÓN ACADÉMICA Y PROFESIONAL (LaCAP) research group is based at the University of Cádiz. (Department of French and English Philology). Foreign languages for academic purposes. Foreign languages for professional purposes. English language as an international language for academic and professional communication. Content and foreign language integrated learning (CLIL). Analysis of needs regarding the use and learning of languages applied to academic and professional communication. Oral and written discourse analysis in academic and professional environments. Interculturality in academic and professional environments. Methodology and teaching of languages applied to academic and professional communication. Terminology applied to academic and professional contexts. ICTs as teaching tools for languages applied to academic and professional communication. Contrastive uses of foreign languages applied to academic and professional communication.